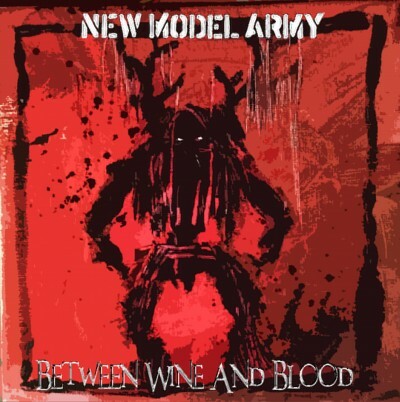 Between Wine And Blood follows New Model Army’s last album Between Dog And Wolf, almost exactly a year to its release date. That album – rightly – got not only some of their best reviews ever but also saw them getting their highest chart positions in many years. Between Wine And Blood is a package to two halves. The second half is a series of live performances recorded in England and mainland Europe. To my ears the finest new version on here is ‘Horsemen’ which closed last year’s album, and still contains the same urgency. Whether leading New Model Army (as he has done for thirty-four years) or solo, Justin Sullivan is a compelling performer and these live performances give an insight into why they maintain a very loyal following and why their last album did so well. It is, however, the first part of the album that’s the main reason for buying this album. It’s a six track mini-album, recorded earlier this year when drummer Michael Dean was unable to play shows. It’s prime New Model Army, from opening ‘According To You’ (which – again – reminds me that one of the many refreshing things about New Model Army was their positivity) to the closing ‘Sunrise.’ I kept trying to decide which was the standout track here and decided ultimately to admire the whole. There’s a number of excellent additions to the New Model Army songbook here – and a reminder that while the mainstream music press may have treated them shoddily, their fanbase continues to grow and remain loyal. And once more, the record features fantastic artwork from long-term collaborator Joolz Denby.